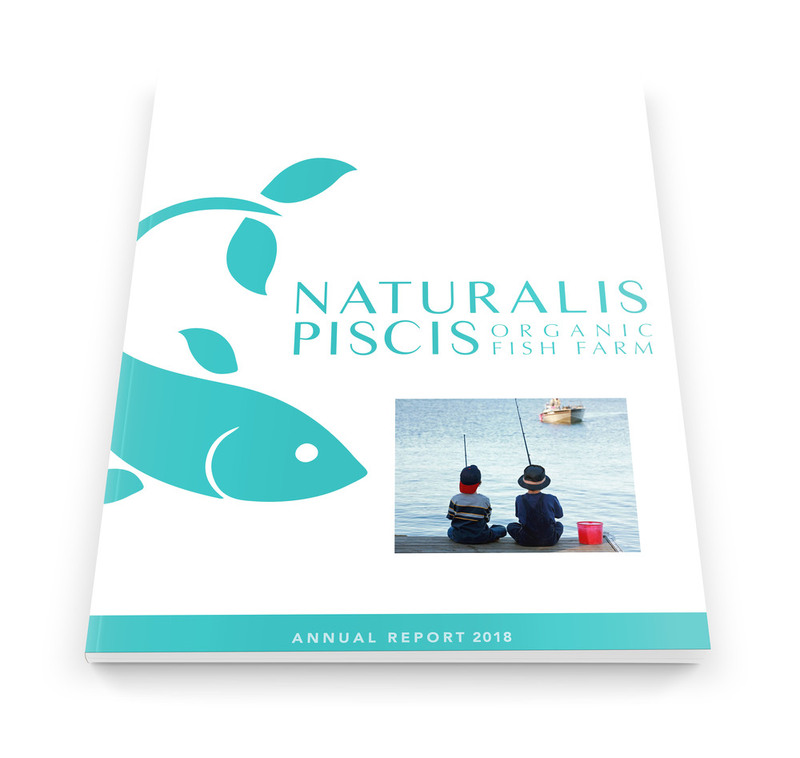 Naturalis Piscis meaning "Natural Fish" is an organic fish farm that takes the process of growing fish in a more natural safe manor. This company stocks local ponds and rivers through out the state of Pennsylvania and some surrounding areas. Three logo options were created using leaves or their shapes to create fish forms which comes from the idea of a more natural fish process. 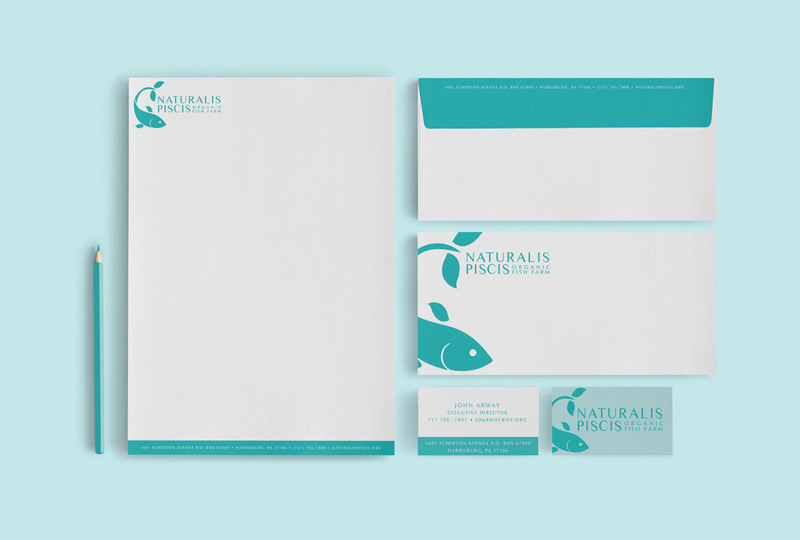 Along with the logos a stationery system was created using a monochromatic color scheme of a calming aqua color like the color of water and aquatic life. An annual report was also created with the same color scheme. 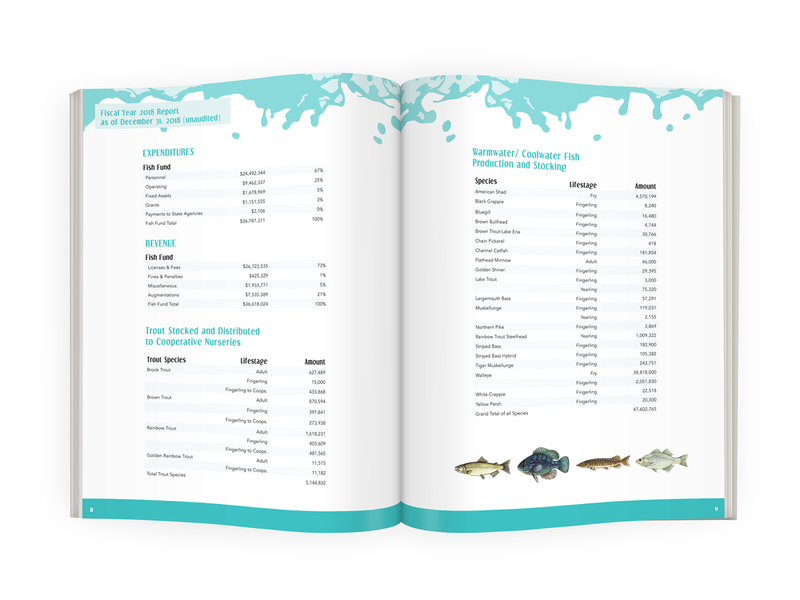 The report is sharing what the company has done through out the year of 2018 with financial tables, what fish production was like through out the year and a letter from the company’s executive director.